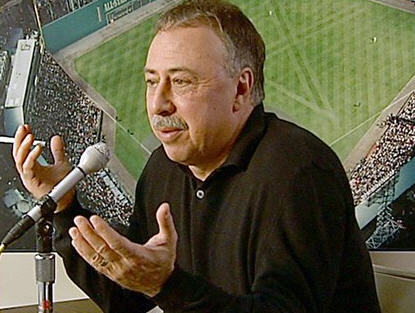 BOSTON (WBZ) - Jerry Remy is working in the Boston Red Sox broadcast booth for the first time in more than three months. The color analyst on the team's telecasts returned Friday night for Boston's game against the Yankees. He took a leave of absence in early May after developing an infection and pneumonia following surgery for lung cancer late last year. "I couldn't keep playing the game the way I was doing it," Remy said in the Red Sox locker room before the game. "The company couldn't rely on me being there. The best thing was to get away, get my strength back and emotionally try to get straightened out." On Aug. 12, the popular Remy returned to Fenway Park for a game for the first time and received a standing ovation while visiting the New England Sports Network booth. He told reporters that night that he was "back" physically but was being treated for depression that delayed his return to his job. You might think his return to the broadcast booth was like riding a bike. Not so, Remy said pre-game. "I'm nervous. This is like the first game I've ever done. I haven't done a game since the end of April." Remy, 56, is expected to broadcast games part time with play-by-play announcer Don Orsillo for now.